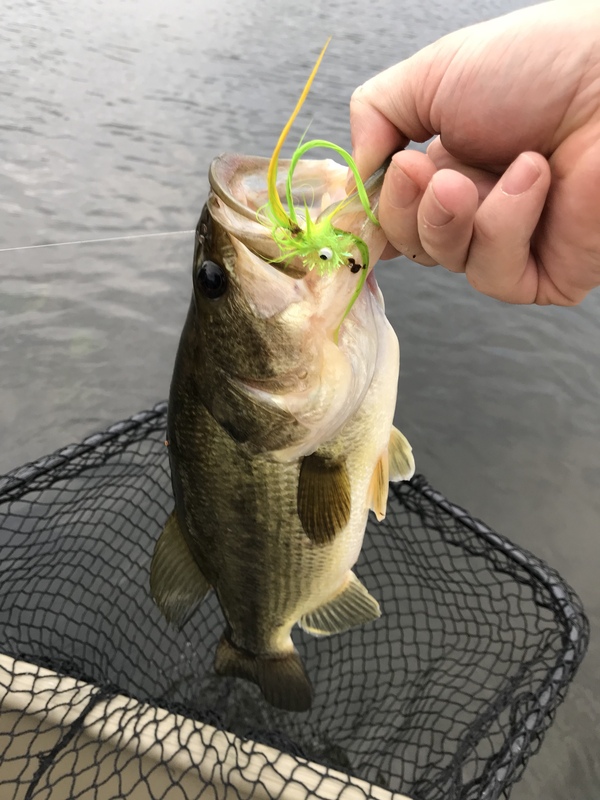 Last weeks nice weather really got me in summer mode and with just a few weeks until the Ditch Pickle Classic it was good to get into bassin’ mode. Lake Champlain has a lot of water types where you can target bass wading from shore or from a small boat. 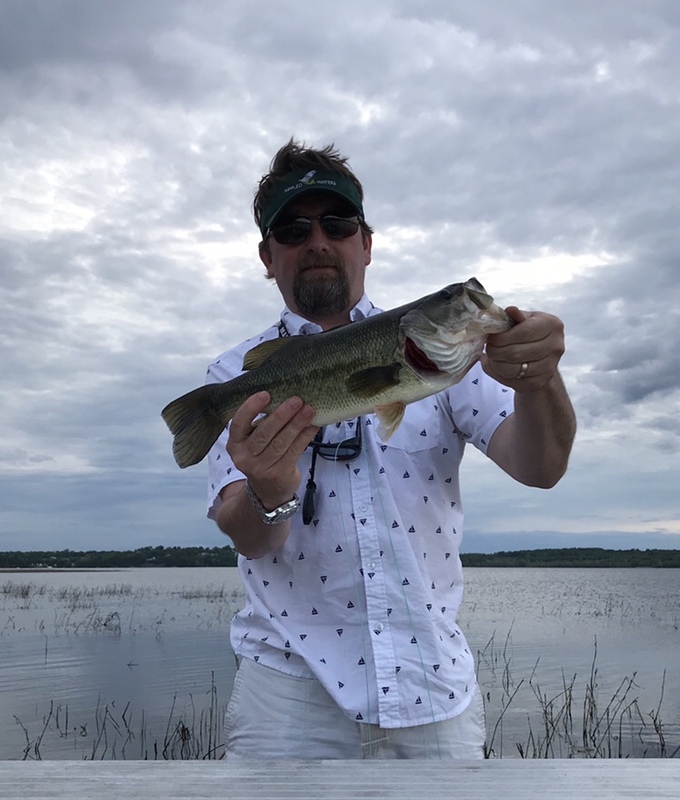 During the spring floods largemouth bass to get way back into estuary flats, back bays, and other flood plain features accessible with small watercraft and even waders. During the day the suns radiation really warms up the shallow water, especially near dark structure like boulders and wood. The bass will be highly active during the afternoon and evening hours, before the cold night temps will cool down the action by morning. This pattern continues into June when the weeds get established or the water levels recede. Here are a couple bucket mouths that I found on skinny flats over the last few days. For smallies I like to find rocky flats that have shallow 3 foot or less gravel beaches that slip gradually down to 5-10 foot depth water with cobble, boulder, or other hard rock bottoms. 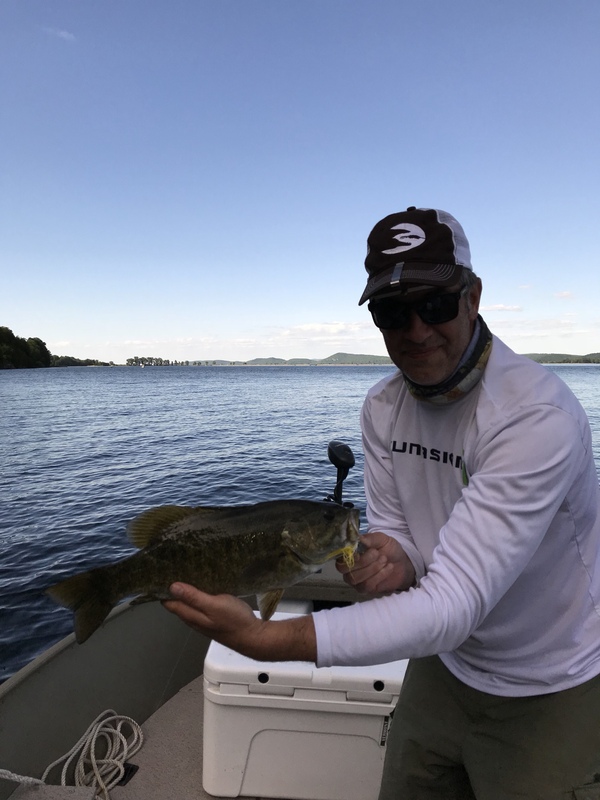 There are parts of the lake where this feature describes miles of continuous shoreline and acres of flats, which is probably why Lake Champlain is one of the best smallmouth bass fisheries in the world. Whether targeting smallies or bucket mouths the big females may be actively spawning and a little extra wary. If you are lucky enough to be able to site a big fish and your fly is getting looks and follows but no takes – be patient! Before you change flies make sure have thoroughly worked the fish keep casting and work the fly towards the bass with slightly different retrieve actions or approach angles and boom! 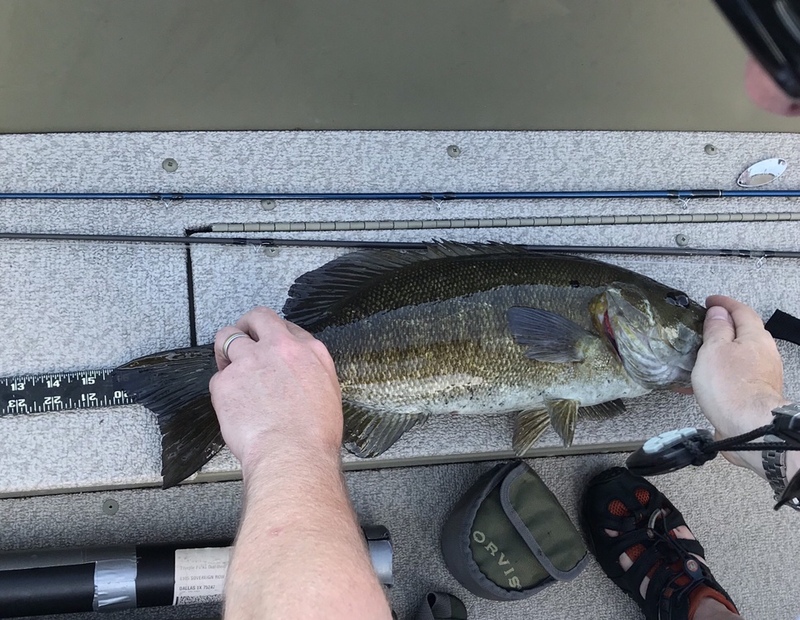 This 20″ smallie chased my fly around, nipping gently at the tail a few times then after probably the 5th cast and dropping the fly from directly above she completely annihilated the same fly. We offer both canoe trips for bass and other warm water species. 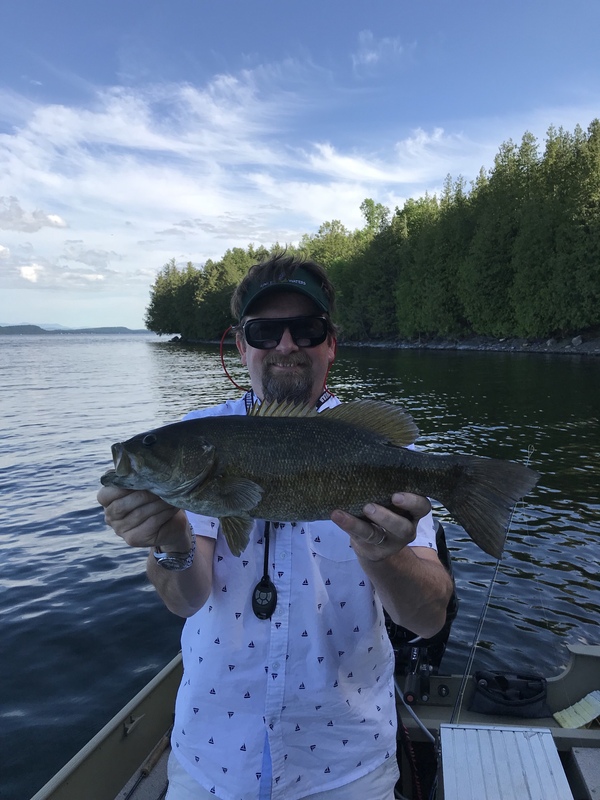 If you are interested in learning more about catching Lake Champlain bass and other great warmwater fly rod fish give us a shout and book a trip.